Once your MailChimp API keys has been set up, you can start using the addon and retrieve all the lists that you've created on MailChimp. Each time you press the "Save changes" button within the MailChimp settings panel, WPUM will retrieve your lists from MailChimp together with any merge fields available for your lists. 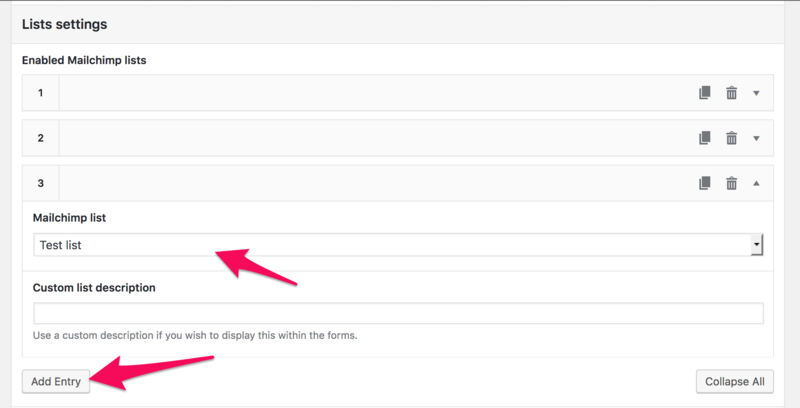 Once lists have been retrieved, you can use them within the settings panel.